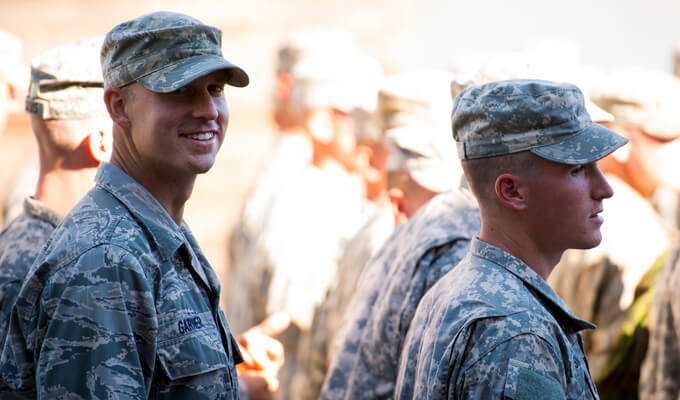 The AFAS Falcon Loan program is a streamlined process to provide Active Duty Air Force Members and Air Force Reserve with expedited financial assistance for financial emergencies. Less information is required to apply for this loan, but the loan amount cannot exceed $1,000. The Falcon Loan was created as a complement to the AFAS Standard Assistance program. Receiving a Falcon Loan does not make an Airman ineligible to receive Standard Assistance if another financial emergency occurs while working to repay a Falcon Loan. For more on AFAS Emergency Loan and Grant information please view Which Loan Is Right For Me page. The Falcon Loan process is fast and simple, but can only be completed with the AFAS section at your Airman & Family Readiness Center on Base. To start the process, submit a Falcon Loan application online in the AFAS Portal. Once your online application has been submitted, take your Air Force ID Card, as well as a current Leave and Earning Statement to your Airman & Family Readiness Center to complete the loan request. Falcon Loans are structured to be repaid in full within 12 months. All Falcon Loans are repaid by allotment, which must run between a minimum of 3 months and a maximum of 12 months (if ETS is less than 12 months out, then repayment must conclude by ETS date). Title 10 USC AFRES/ANG personnel will be asked to complete a Paymatic Authorization Form in the event allotment cannot be started. My dad was hospitalized in Boise, ID and the doctors didn’t think he would make it. AFAS made sure I could get out there to be with him for a few days. Dad made a full recovery and is back to living on his own. I look forward to donating to AFAS through the next AFAF Campaign. As service members, we are all faced with losing someone every day but nobody is ever really prepared for it. I am very grateful for the support shown through the financial security of AFAS.